Openmind | Shelf Elf: read, write, rave. 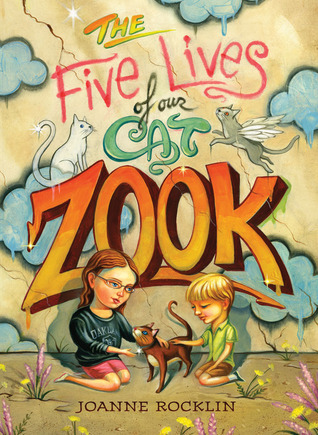 Joanne Rocklin’s The Five Lives of Our Cat Zook is pretty special. It’s about cats and family and sibling relationships and home and loss and community. It packs a lot of depth into a short, poetic, and often funny narrative. It made me cry. It made me think. 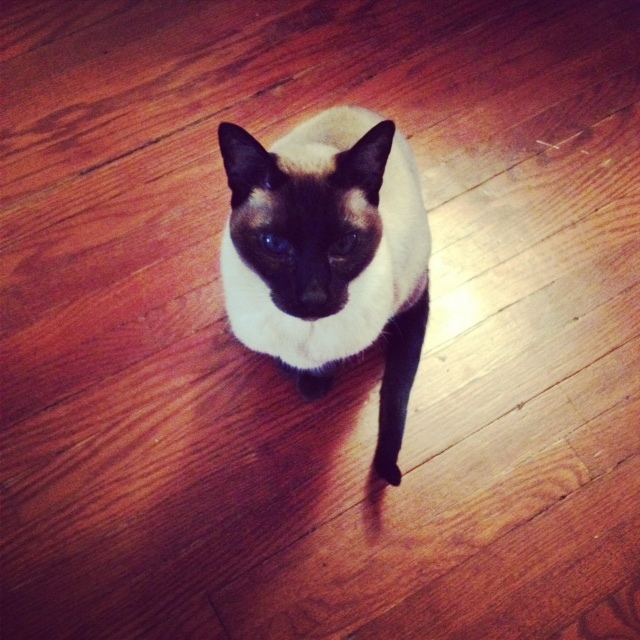 It made me want to hug my cat and never, ever let him go. (He’s good with that, by the way). That’s my Yoyo. He’s beautiful, right? One of the many impressive things about Joanne Rocklin’s work is how she manages to explore difficult topics head on like the death of a family member or a dear pet, but she does it in such a thoughtful and gentle way that you feel the complexity and sadness without being overwhelmed by it. This is not a depressing book. It’s not an issue book, best shelved alongside other books for kids that “deal with death.” It’s much more layered than that and so I think it will appeal to a wide audience. It’s for a kid who loves stories about animals, or who wants to become a writer, or who is experiencing changes in his or her family and doesn’t know how it will all turn out. It’s hopeful and honest and it will make readers want to reach out to the people in their lives and appreciate what they have. You might need kleenex in a few places, but by the end, you’ll be smiling. This is a good one folks. Don’t miss it. The Five Lives of Our Cat Zook is published by Amulet Books. This entry was posted in Middle Grade, Openmind on April 4, 2012 by shelfelf. Of course you know by now that I’m a sucker for a story that features food. Queen Rania’s picture book, The Sandwich Shop, is a food story, but it also encourages kids to be open to new experiences and different traditions. Delicious and instructive – a winning combination. In general, I’m not a big fan of “celebrity picture books,” but I think this one deserves a recommendation. It is simple, and Tricia Tusa’s winning illustrations are wonderfully whimsical, a combination that makes a charming book that kids will enjoy and that could easily serve as a launch for classroom discussions and lessons. There is often drama in the lunch room, right? It’s where many friendships begin and end. 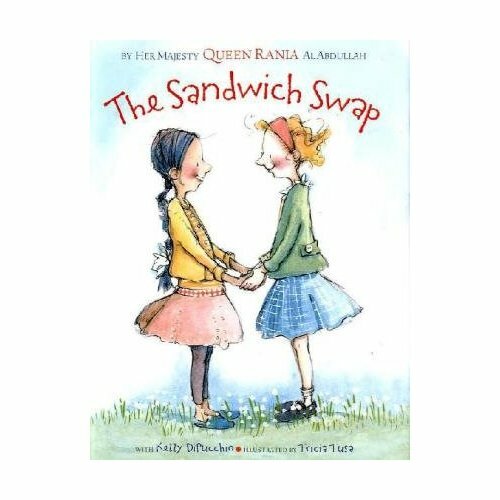 It’s where trades are negotiated and unwanted sandwiches get surreptitiously tossed so that mom will “never find out.” This story is about two girls who are friends in every way, even though Salma eats a hummus sandwich everyday and Lily goes for PB & J. This isn’t an issue for quite some time until one day Lily can’t keep her true feelings quiet any longer. She tells her friend that her hummus sandwich looks yucky. Salma responds by saying that Lily’s sandwich looks gross and smells bad. That’s all it takes for the perfect friendship to disintegrate. And you know how it goes with insults; they have a way of catching on. In the end, a massive food fight erupts. Eventually the girls mend things. All it takes is a little openmindedness and a few bites of the other’s lunch to realize that different doesn’t mean disgusting. Different can be exciting and interesting and delicious. 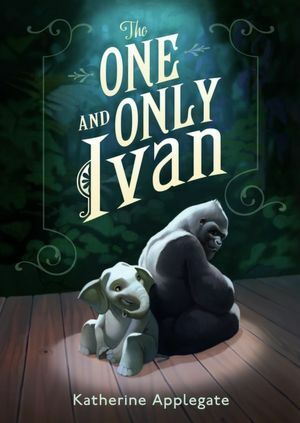 The message is not complicated, and it might be a shade too-good-to-be-true, but sometimes you need a book like that and I do think it will achieve its goal, getting kids to consider that diversity is cool and one of the best parts of life. Of course they will relate to the experience of having their lunches “judged.” It happens all the time. I think that this concept was a clever and non-intimidating choice for getting kids talking about themes of tolerance, inclusion and difference. The Sandwich Shop is published by Disney Hyperion. This entry was posted in Openmind, Picture Books on February 13, 2012 by shelfelf. 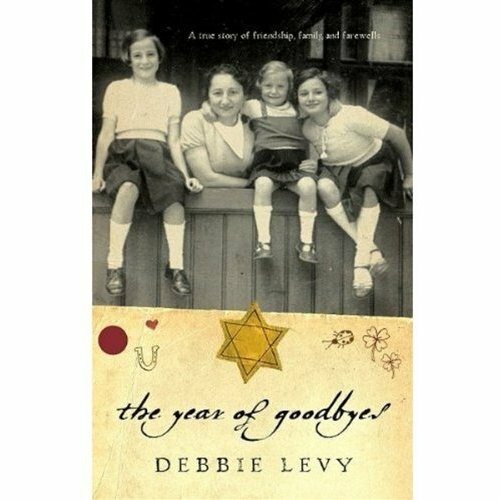 Once you start reading, you will not be able to put down Debbie Levy’s book, the year of goodbyes. There are many books written for young people about the Holocaust, and yet Levy has found a uniquely powerful way to explore this dark period. This slim book has tremendous emotional force. I don’t think it’s an exaggeration to say it’s a profound reading experience. I’ve read a lot of Holocaust literature for young people, and this book is one of the strongest. the year of goodbyes tells the story of Levy’s mother’s experiences in Hamburg in 1938, her family’s last year in Germany prior to leaving for America. Levy was inspired to write this story after reading her mother’s poesiealbum from this period, which is essentially like an autograph or friendship book. The album was full of messages written to Jutta, Levy’s mother, during that year before she left Hamburg. Each chapter of the year of goodbyes begins with a handwritten message, an actual image of the page from the album and then Levy uses that entry as a launch into a free verse poem. The poetry feels completely true to the voice of an eleven-year-old girl. The language is direct and honest, which makes it convincing. I was impressed by the way Levy keeps the narrative line clear and compelling from poem to poem. Tension builds and there is nothing choppy or separate about the different chapters. One flows to the next, which proves how skillfuly Levy has drawn a story from the entries of her mother’s album, as well as extensive research. Close to halfway through the book, I had to stop for a moment when I came to one of the entries. When you’re a teacher, handwriting says a lot to you. You imagine the child behind the letters. As you get to know your students, a lot of the time, their handwriting makes sense given who they are. The crazy huge letters of the child with the world’s messiest desk. The flowy, curly script of some types of girls. The super-slanted, angled letters of kids trying to make their writing look grown up for the first time. There was something about the tiny, perfect script of Ellen Berger that reminded me so much of the handwriting of a child I taught in my first year of teaching, also named Ellen. Which of course, made me wonder about Ellen Berger. Was she a careful, precise girl? Was she quiet? Did she have small hands? Was she good at drawing things? Did she take pride in making things look just right? At this moment in Levy’s book it struck me how much I had to know if these children survived. This realization is what makes the year of goodbyes so poignant. Many of these children did not survive. At the end of the book Levy reveals the fates of many of Jutta’s friends, but there are some of those stories that she could not discover through research. the year of goodbyes is a perfect book for anyone interested in experiencing a very personal and human portrait of the Holocaust. It is the right book to read with a younger reader as an introduction to many of the more explicit books on this historical period. It will make you imagine the people who were lost, as individuals, because their words are here, on the pages. the year of goodbyes is published by Disney Hyperion. This entry was posted in Middle Grade, Openmind on March 25, 2010 by shelfelf. You can’t get away from the truth. That can be scary. Sometimes, you have no idea what the truth is. That is even scarier. In Borderline, Printz-Honor winning author Allan Stratton spotlights a story that reads like it might have sprung straight from today’s news. It’s scary, but not in the ways you might expect – and that’s what makes it worth reading. Sami Sabiri is pretty much used to being the only Muslim kid at his school. It hasn’t ever been easy, and there are still kids who bully and abuse him for his different faith, but he copes with it, trying to fly low on the radar. Attention is exactly what Sami gets when out of the blue, the FBI raids his home, taking his father into custody under suspicion of involvement in an international terror plot. To make things even worse, Sami has been feeling suspicious about his dad’s behaviour for a while. Suddenly all that Sami once believed in is shaken. Truth seems completely unreachable. Borderline is a thought-provoking book that will make you consider the human story behind those headlines we’ve all read about terrorism and terror plots and wrongful accusation. It will make you wonder to what degree your thinking and your perspectives have been skewed or influenced by stories in the news, even if you try to stay open and not stereotype or jump to conclusions. I thought it was a clever angle for Stratton to have Sami questioning his knowledge of his father, just as the larger community in the story (and readers) wonder about his guilt or innocence and form ideas right from the moment he is accused. The public has doubts. We aren’t sure. Sami is uncertain. It’s not just the people on the outside who are suspicious. I like how Stratton introduces readers to complex and current issues, in a subtle and accessible way, without making it seem didactic or like he’s just trying to grab onto something of the moment. 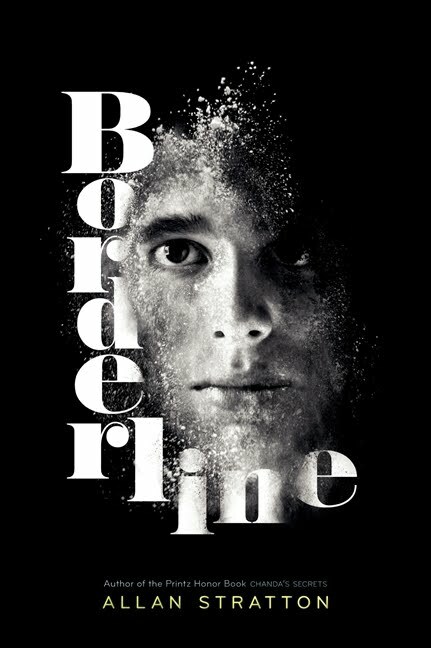 Borderline is a tightly written, suspenseful family drama, about identity, prejudice, and the media’s influence on the way we perceive and judge others. Perfect for news junkies, and social justice activists in training. This review is cross-posted at Guys Lit Wire. This entry was posted in Can-Con, Openmind, Teen/YA on January 15, 2010 by shelfelf. I read quite a lot of YA realistic fiction, and almost none of the books that I read actually make me wish I could be a teen again. Most of the time, I’m glad to be a grown up. While I wasn’t a miserable teenager, looking back, I wasn’t ever content, and that was mostly because I wasn’t cool. I didn’t belong, and as much as I acted like my academic success was all that mattered to me, I always wanted to have more friends than I did and I always wondered what it would be like to live life in the cool crowd. Was I a nerd? I never thought so. I guess I always thought that nerds were smart and really weird. Oddball genius types. Some probably gave me the “nerd” label because of the grades I got all the time. Bottom line was I didn’t really belong in the nerd category or in any other category. 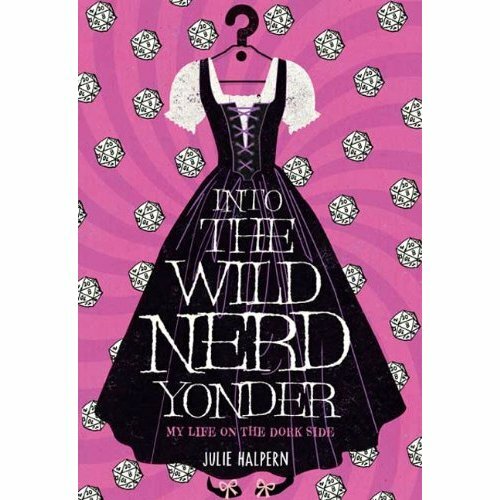 If I’d read Julie Halpern’s novel, Into the Wild Nerd Yonder, when I was in high school, I might have felt less nerdy, or at least, I might not have felt offended if others thought of me that way. This book is all about nerd-power, and it is fantastic. This entry was posted in Openmind, Teen/YA on November 28, 2009 by shelfelf. The Heart is Not a Size is a book that will make you want to go out in the world and do something that matters. It will take you into a community that you likely will never visit, and it will make you think about how much you have and what you really need. No surprise that the writer behind this inspiring and thought-provoking novel is Beth Kephart. It’s not released until March 2010, but you should put it on your TBR list right now. Books like this don’t come along every day. It’s a testament to the strength of Beth’s writing that her words brought to mind so much of what you see in those images – the openness of the children and their smiling faces, the dust everywhere, the shacks made of cast off materials. I’ve never been anywhere like Anapra, but I could imagine it through Beth’s words. The Heart is Not a Size is about a teen named Georgia, who convinces her best friend Riley to go on a trip to Anapra with an organization called Good Works to do community service. Georgia wants to go to Anapra to get perspective and to start believing in herself. Everyone thinks she’s a grounded, reliable sort of girl, and Georgia isn’t sure. She’s ready for something, but she isn’t even sure what that something is. So when she finds a flyer about Anapra she makes a choice and she wants Riley to come too. Riley is vulnerable in her own way, and the girls’ friendship is deep and complicated. When they get to Anapra, things that they used to be certain about start to change. The Heart is Not a Size would stand up to rereading, so that you could feel you were getting everything out of it. It’s a quiet book that sneaks up on you. You’ll meet so many characters that are complex and present enough to make you imagine their whole life stories – even secondary characters who appear only briefly stand out more than many central characters in other novels, like Socorro, the little girl who hovers outside the compound where the visiting group is living. The novel is divided into two parts, which I think reflects the way Georgia’s experiences in Anapra have really changed her. There was her life before Anapra, and then after. This is a novel about the potential in people, and not just in the people who go to Anapra to do what they can to contribute to that community, but the potential and worth of the residents of Anapra as well. Almost at the end of her time in Anapra, Georgia thinks, “there was no measure for the people we were becoming, no limit to what we might become.” She sees the possibility of her own life and the lives of the people of Anapra too. 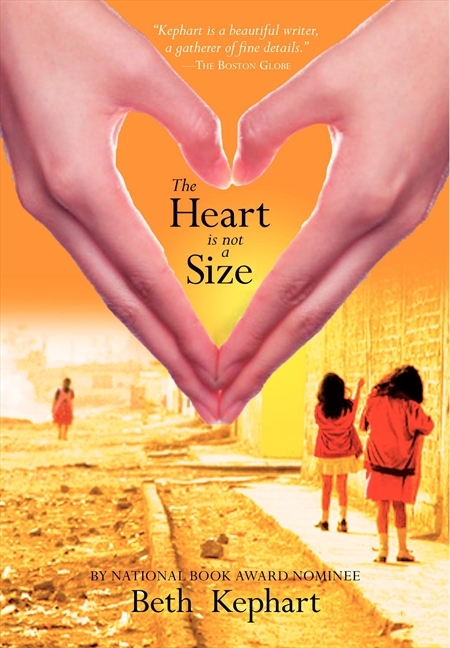 The Heart is Not a Size is a novel worth thinking about. There is nothing moralizing about it. Rather, the characters experience first hand how life is messy and brutal and beautiful and the opposite of simple. Georgia doesn’t find easy answers in Anapra and we don’t get the sense that she finds just what she expected, but her experience gave her what she needed nonetheless. Give this book to a teen as a graduation gift. I wish I’d been able to read it when I was 18. The Heart is Not a Size will be published by Harper Teen in March 2010. This entry was posted in Openmind, Teen/YA on November 16, 2009 by shelfelf.